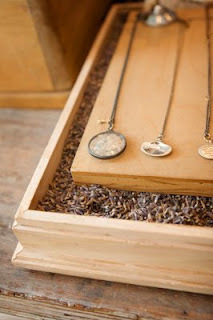 Jeweler Alix Bluh is one of our new favorites. 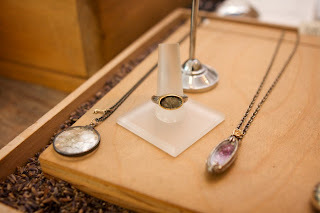 We're particularly drawn to her Relics Collection, which sets stone under quartz with 18k accents and oxidized sterling. Alix comes from a true bohemian family; her godfather + namesake was Alexander Calder, a sculptor and mobile artist from the 1960's. Because these pieces are entirely handmade, each piece is unique - no two pieces will ever be the same. Come visit us to see these pieces and other works of art by our featured jewelers.